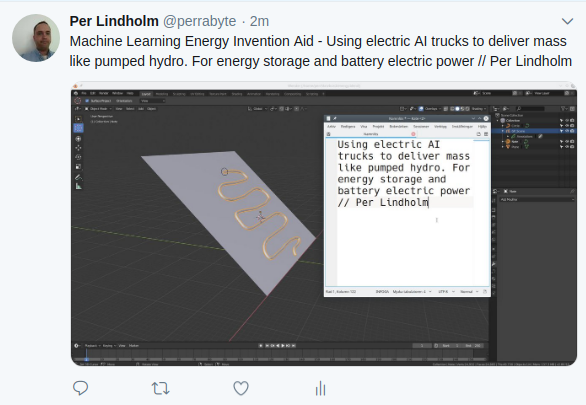 Machine Learning Energy Invention Aid – Using electric AI trucks to deliver mass like pumped hydro. For energy storage and battery electric power // Per Lindholm | Peroglyfer – Machine Learning changes math. Math changes everything.